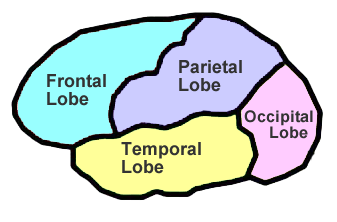 The brain can be divided into four sections, known as lobes. 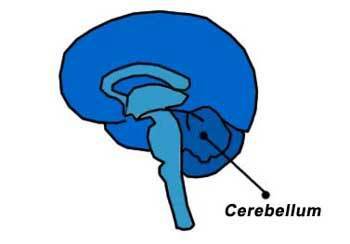 The cerebral cortex can be divided into four sections, which are known as lobes (see image above). The frontal lobe, parietal lobe, occipital lobe and temporal lobe have been associated with different functions ranging from reasoning to auditory perception. The frontal lobe is located at the front of the brain and is associated with reasoning, motor skills, higher lever cognition, and expressive language. At the back of the frontal lobe, near the central sulcus, lies the motor cortex. 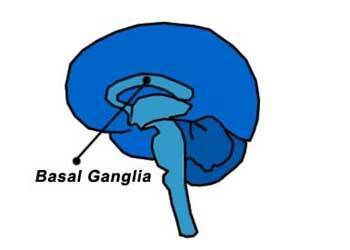 This area of the brain receives information from various lobes of the brain and utilizes this information to carry out body movements. The parietal lobe is located in the middle section of the brain and is associated with processing tactile sensory information such as pressure, touch, and pain. A portion of the brain known as the somatosensory cortex is located in this lobe and is essential to the processing of the body's senses. The temporal lobe is located on the bottom section of the brain. This lobe is also the location of the primary auditory cortex, which is important for interpreting sounds and the language we hear. The hippocampus is also located in the temporal lobe, which is why this portion of the brain is also heavily associated with the formation of memories. The occipital lobe is located at the back portion of the brain and is associated with interpreting visual stimuli and information. The primary visual cortex, which receives and interprets information from the retinas of the eyes, is located in the occipital lobe. The hindbrain is the structure that connects the spinal cord to the brain. 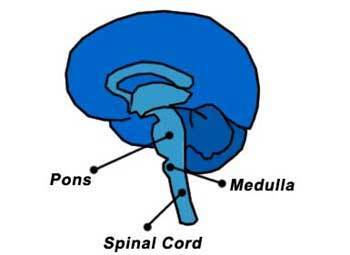 Sometimes referred to as the "little brain," the cerebellum lies on top of the pons, behind the brain stem. The cerebellum is comprised of small lobes and receives information from the balance system of the inner ear, sensory nerves, and the auditory and visual systems. It is involved in the coordination of motor movements as well as basic facets of memory and learning. 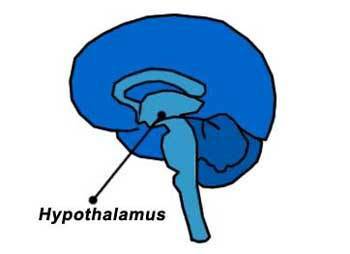 Located above the brainstem, the thalamus processes and relays movement and sensory information. It is essentially a relay station, taking in sensory information and then passing it on to the cerebral cortex. 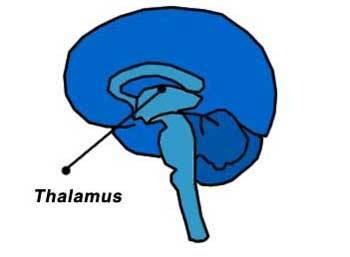 The cerebral cortex also sends information to the thalamus, which then sends this information to other systems. 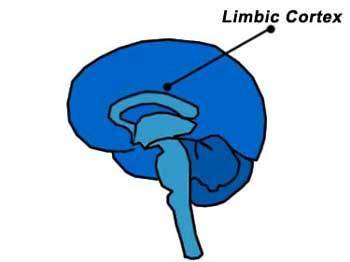 The limbic system is comprised of four main structures: the amygdala, the hippocampus, regions of the limbic cortex and the septal area. These structures form connections between the limbic system and the hypothalamus, thalamus, and cerebral cortex. The hippocampus is important in memory and learning, while the limbic system itself is central in the control of emotional responses.